In case of concerns about silicones, Kerafol offers a ceramics-filled polyurethane film as a silicone free alternative material. Besides good thermal and outstanding electrical properties, these films are characterized by very good perforation strength. These good physical properties are achieved with an excellent price-performance ratio. 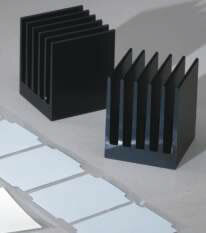 Flexible ceramic thermal conductive and isolating film Softtherm U 281 is especially designed for silicone sensitive applications and is an alternative material to the silicone based Softtherm films. The U 281 film has excellent electrical isolation and a very good thermal conductivity. Need a Silicone Free Thermal Grease? Click to Get a Quote for Keratherm Silicone-Free!